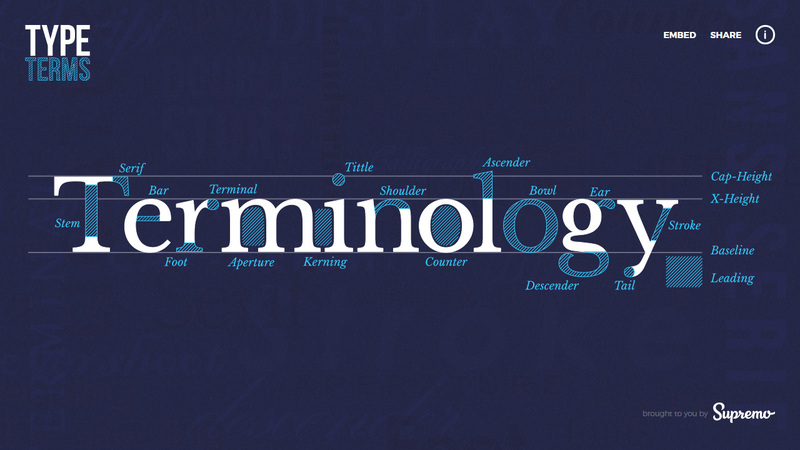 Lovely little informational One Pager illustrating the correct typographic terminology. Each element is clickable and reveals an animation with more info. We at Supremo wanted to combine typography with web design and decided to create something that would give us the chance to experiment with SVGs and CSS animations. Once we had the idea nailed down, we realised that Type Terms could help teach new design students typographic terminology. The aim was to create something that would describe each term visually so that even the newest of designers could understand them instantly.